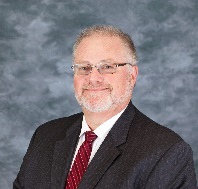 Gary has an Operations and Human Resource professional background and most recently held the position of Deputy Director of Osceola County’s Department of Tourism Development. In addition to directing the day to day sales and marketing efforts of the Kissimmee Convention and Visitors Bureau, Gary had oversight and management responsibilities for the operation of Osceola County’s sports facilities and 15 county parks, as well as Osceola Heritage Park; a 195 acre complex with a 10,500 seat indoor arena, 50,000 square feet of exhibition space, and a Major League Baseball Spring Training complex, home of the Houston Astros. Gary’s vast experience with Human Resource management was as the leader of Human Resource and Risk Management for Osceola County Government and Westgate Resorts, one of the world’s leading vacation ownership companies. During his 14 years at Westgate Resorts, Gary was promoted several times culminating with becoming the National Director of Sales and Marketing Operations. While in this capacity Gary and his team operationally supported the timeshare sales and marketing division, helping the company each year achieve record breaking sales numberes. During his tenure with Westgate Resorts Gary assisted the company with phenomenal growth of just 3 small resorts in Florida, to 19 resorts nationwide, with nearly a billion in annual sales. Gary holds a Bachelor of Science Degree in Organizational Management from Palm Beach Atlantic University and an Executive Master of Business Administration from the University of Central Florida.